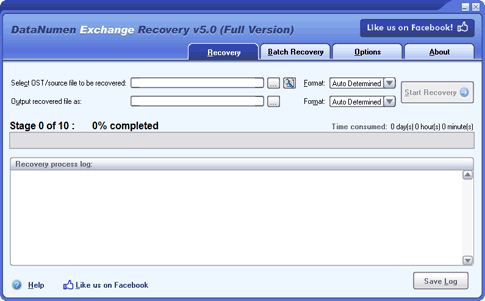 DataNumen Exchange Recovery 4.5 - Download Win Apps. DataNumen Exchange Recovery is the best Exchange OST file recovery tool..
DNER is the best recovery tool for Microsoft Exchange offline storage(.ost) files, supporting Exchange 5.0 to 2013 and Outlook 97 to 2013. It can scan the orphaned or damaged offline storage files(.ost) and recover your emails, folders, posts, appointments, meeting requests, contacts, tasks, journals, notes, etc. in them. Moreover, it can recover deleted items, split oversized OST files, and recover encrypted OST files. Mail-Cure (free email recovery software) can recover EMail from a damaged dbx file or deleted dbx file or re-installed windows' drive. The mail fragment can be saved as EML file. Mail-Cure supports Outlook Express and Foxmail format.